Part of my job as a Knowmad Adventures Peru + Ecuador Trip Specialist is to scout out new and exciting experiences for our travelers. I stay at the new hotel everyone’s talking about, dine at that hot, up-and-coming restaurant, and experience the latest adventure that’s getting all the press. But I also search for the unknown: the tucked away restaurant only the locals know about; the small, five-room property that’s so welcoming you feel like you’ve found your long-lost family; the handicraft workshop where you will learn about culture and tradition from a local; and all of those hidden gems that turn a good trip into a great trip, one that’s completely authentic and unique. On my most recent trip I did just that. I spent three weeks in Ecuador, traveling from north to south along the Avenue of the Volcanoes, over to the coast, and out to the Galapagos Islands. 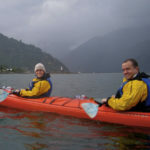 While I’d love to share every aspect of my trip with you, I’ve narrowed it down to three things to do in Ecuador, all of which got me so excited to start crafting unique adventures for our travelers. I arrived here after a day of exploring Cotopaxi National Park, and immediately felt at home with a hot canelazo (a traditional, spiced cinnamon drink) in my hands, sitting by the fire, the Cotopaxi Volcano as my backdrop. Chilcabamba Lodge is a cozy, unassuming mountain lodge that makes for a great base as you explore the national park by foot, bike, or horseback. While the rooms are basic, each comes equipped with a cozy, wood-burning fireplace, and a few of the standard rooms have incredible views of Cotopaxi on a clear day. What really had my mouth watering here (literally) was the 12-course tasting menu prepared by Brazilian-Ecuadorian chef, Álvaro Reinoso. Nuna is the perfect example of a hidden gem. A remote lodge on the edge of the national park is not where you’d expect to find a delicious 12-course meal, but it was here that I had not only the best meal of this trip, but one of the best meals I’ve ever had. Having trained at some of the best restaurants in Brazil and Spain, you’d expect to see Álvaro heading one of the top new restaurants in Quito, but instead, you’ll find him walking the páramo (a plateau populated with ground vegetation) in search of local plants and inspiration for his next dish, and he even gathers rocks from the river to use as his serving platters. The tasting menu is only available by reservation, with at least several days notice, as it takes that long to prepare the intricate meal. You can request planning it into your Cotopaxi trip South America Trip Specialist. Pair this delicious meal with a day of biking, horseback riding, or hiking in the national park. After Cotopaxi, I journeyed down Avenue of the Volcanoes, hiking to a deep turquoise blue lake, and spending time in local workshops. During this portion of my trip, I tried my hand at painting, saw the process of creating a traditional Panama hat (despite the name, these hats were actually first made in Ecuador), discovered the largest Incan ruin site in Ecuador, wandered Cuenca’s cobblestone streets, and so much more. Eventually, we cut over to the coast and in a matter of one hour the scenery outside my window went from the high, altiplano lakes of Cajas National Park to the banana and cocoa fields of the coast. We soon arrived to Hacienda La Danesa, an historic hacienda just about an hour outside of Guayaquil and the coast of Ecuador. La Danesa is an authentic, family-run hacienda. With only two rooms located inside the family home available for guests currently, it’s a very unique and intimate experience. They are also in the process of building four private cottages surrounding the main house, which should be open to guests before the end of 2017. Spend your days relaxing, or actively exploring the 1,200-acre estate and surrounding areas. You can walk with a local guide through the cocoa fields and rows of teak trees, venture out on a bike ride, horseback ride, or even grab a tube and float the river to cool off from the coastal heat. Alternatively, you can dive into the local culture with a cooking class, or head out with a local woman to milk one of the diary cows. The hacienda produces 2,000 liters of milk each day, and fresh cheese each morning for the guests. 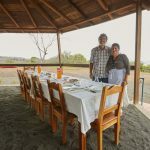 A stay here works great as part of a longer Avenue of the Volcanoes trip, or as a short add-on for one night for those flying into Guayaquil and then journeying out to the Galapagos. You can also go as a day trip from Guayaquil to enjoy the grounds before heading back to your accommodations. Next, I jetted off to the Galapagos Islands, where I started off by spending 5 nights aboard one of my favorite catamarans, Ocean Spray. I fulfilled a dream of mine by snorkeling with a playful sea lion, amongst so many other animals like penguins, rays, colorful fish, and more. The sea turtles were so numerous and completely unbothered by our presence that we truly had to try to not run into them as they swam underneath and beside us. After the cruise, I spent several days on land completing boat and hotel inspections. One of many highlights was checking out the new safari style tents at Magic Galapagos. Open for just over a year now, these tents are a great option for those who want to be away from the hustle and bustle of Puerto Ayora and connect more with nature. Due to the presence of a fresh water pond, many tortoises call Magic their home throughout the year. It’s not uncommon to see more than ten wild tortoises scattered around the property. Also making Magic a unique place to stay are the on-site lava tunnels. What I was especially excited to see on this trip was the new restaurant that the owner, Polo, created inside one of the tunnels, so that you’re actually dining inside a tunnel that was naturally created by the flow of lava. The restaurant only opens by request and is best for groups of 6 or more as they will be setting up the kitchen and restaurant specifically for your group. 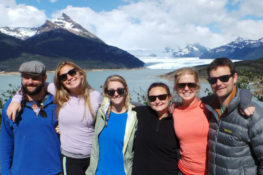 Ask your Trip Specialist today whether it’d be a good fit for your group and how to reserve it! It makes for a great addition as part of our Land-Based Active Adventure. 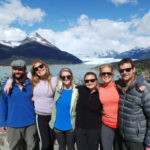 These are just a few of the new happenings and things to do in Ecuador, but there’s so much more I want to share with you: from luxury Galapagos cruises setting sail in the next few months, to hikes that end with lunch at an Incan ruin site with views of Cotopaxi Volcano, to chocolate tastings in Quito. Give me a call or send me an email today to start your own custom trip planning process, and we’ll create your own Ecuador adventure, perfectly designed for you.